Discussions Magazine Music Blog: CULT RECORDS partners with KOBALT LABEL SERVICES and AWAL! CULT RECORDS partners with KOBALT LABEL SERVICES and AWAL! Kobalt Label Services is thrilled to announce the signing of a label services agreement with Cult Records, the creative imprint founded and helmed by Julian Casablancas. The multi-release deal encompasses representation and product management, physical distribution across multiple territories, digital distribution through AWAL, marketing and sync licensing services. Initial album releases include the debut album from Julian Casablancas+The Voidz, Tyranny, set for release September 23; further releases to be announced shortly. Founded by Casablancas in 2009 as the creative imprint for his debut solo record Phrazes for the Young, Cult Records is focused on quality over quantity and is pledged to the highest standard for every song on each record it puts out.  The Cult Records roster includes Albert Hammond, Jr., The Virgins, Har Mar Superstar, Cerebral Ballzy, Rey Pila and more. An announcement of additions to the roster is forthcoming. Part of Kobalt Music Group, KLS provides the next generation of services for artists and labels worldwide, empowering recording owners with a full-service solution to releasing and marketing records while maintaining ownership of their masters. Established as an alternative to the traditional label model, KLS maximizes client opportunities and revenues from services including global digital distribution and sales through AWAL, traditional physical distribution and retail marketing, audio and video streaming, synch licensing, digital marketing, publicity, radio and D2C.